Legal basis is the Trade Marks Act, Cap 90:01, in force since 1952. Guyana is not a member of the Madrid Agreement, the Madrid Protocol and the European Union. The Tenth Edition of the Nice classification of goods and services consisting of 45 classes is applied to UK-based applications. For local applications, International classes 1-34 apply and may be used to register goods only. The 11th edition of the Nice Classification applies to UK-based applications and covers goods and services in classes 1-45. For local applications, International classes 1-34 apply as provided in the Trade Mark Rules and may be used to register goods only. A mark is defined to include a device, brand, heading, label, ticket, name, signature, word, letter, numeral, or any combination thereof. Any mark deemed registrable by the UK IPO would be deemed registrable by the local registry if applying on the basis of that UK mark. The following trademark types are registrable: trademarks, service marks, and certification marks. There is no provision for collective marks. The application is filed at the Deeds Registry. Multi-class applications are possible if the application is based on a prior UK registration. However, for applications within the local system, a separate application must be filed for each class. In addition, it is not possible to register service marks under the local system. UK-based applications may include goods in any number of classes – however the number of classes will mirror the underlying UK registration. A power of attorney form is required – this form must be signed and notarized. No legalization is required. For local applications, Statement A and Declaration forms are also required – these forms must also be signed and notarized. Signs not deemed distinctive in the examination can be registered if distinctiveness has been acquired by use. Trademark applications accepted by the Registrar are published once in the official gazette prior to registration. The approximate time frame for completing the registration process of a trademark in Guyana varies greatly – however, UK-based applications are typically completed within 12-18 months. Local applications may take as long as several years to proceed to registration. The opposition period is one month from the publication date of the application. Protection begins with the date of application for local applications. A local trademark registration is valid for seven years from the date of application. A local registration is renewable for periods of 14 years. On the other hand, any mark that is registered based upon an existing UK registration has a term that is identical to that of the corresponding UK registration. With respect to local trademarks, the grace period for renewals is one month starting from the date of advertisement of non-renewal of the mark in the local Gazette. After the one month grace period, restoration of a mark may be allowed in the discretion of the Registrar. With respect to UK-based registrations, there is a six month grace period. With respect to local trademarks, if the trademark has not been used within a consecutive five year period any time after registration, it may be subject to cancellation. The official fees for filing a trademark application is USD 120 for each class application. This fee includes all official fees through completion of registration. Caribbean IP is an intellectual property law firm focusing on trademark and other IP services across 26 Caribbean jurisdictions. The firm prides itself on handling trademark searches, registrations, renewals, recordals, oppositions, and enforcement matters in a time- and cost-efficient manner. Katherine founded Caribbean IP in 2014, after working for several years in another Caribbean-focused practice. She and her partner Patrick Hely and their team work with clients from around the world, including numerous Fortune 500 companies and top-ranked law firms. The Caribbean IP team has experience handling all aspects of trademark practice across the Caribbean region. 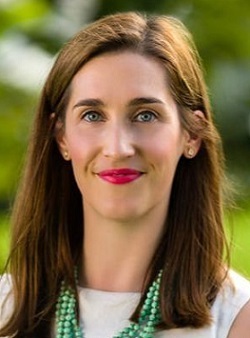 Katherine obtained a Legal Education Certificate from the Eugene Dupuch Law School in The Bahamas and a Doctor of Jurisprudence from Vanderbilt University. She is a member of the Florida Bar and an active member of the International Trademark Association, where she is currently serving as Vice Chair of the INTA Bulletins Committee. She regularly writes articles on trademark law developments in the Caribbean for INTA and other global publications.